Welcome to Dreaming the Seed, my passions and my joy. In January 2016, I turned 60 and I love it. I stepped into my power time as a Crone, a place with which I am completely comfortable. I love that word – Crone and all that comes with that. The emergence of the wise woman in me has risen to take her place in guiding others on their unique journey. This is the time of bringing people together to live the life of their dreams. I felt the vibrations of my life shift dramatically from the time I turned 60. A new vibrancy entered my life. I have worked in creating my workshops and programs and my Clairvoyant Readings over twenty years but it has now grown even more vibrant. I have moved through deep personal, business and health pain by working with my own Goddess & Crone inspired Gatherings. I have worked through the light and shadows of my life and like all of us, I am still and always will be, a glorious work in progress. Life will always throw curve-balls and still I pick myself up and say, well that was a glitch (a biggie perhaps but still a glitch) and then take another step forward. Some days I walk mindfully and other days I fly high. It is all the right way at any given time for me. I work with my own programs as I guide you toward empowerment to encourage healing, transformation, creation. I love to work with my DREAMING THE SEED Ceremonies and workshops and programs. I work deeply with The Goddess, the Earth Mother . One cannot take people on a powerful journey to empowerment where they have not yet ventured themselves. All my life, people have confided in me and I always seemed to know when to listen and when to offer advice which was always gratefully received. This has been a lifetime path and now I share this path with others in service to the Divine Spark of Creation and The Goddess ~ the Earth Mother. As an AUTHOR, CLAIRVOYANT, CREATOR OF WORKSHOPS, RETREATS AND CEREMONIES FOR TRANSFORMATION AND CRONE, I look forward to encouraging more and more people to seek an empowered journey. I invite you to come on a journey with me as we tap into The GODDESS – the Earth Mother and The CRONE – the Wise Woman . The trail I walk is one of helping others on this journey to empowerment with loving intent. 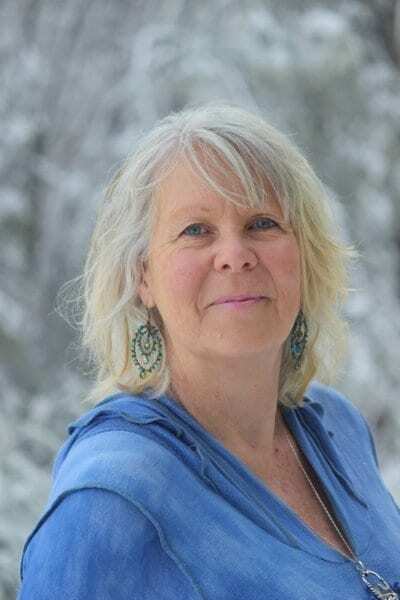 BIO: Jude Downes is a ‘healer with words’ and author who is passionate about creating ceremonies, retreats, workshops and programs that encourage transformation – both personal and planetary. Jude’s intimate connection with Mother Earth, The Goddess and the messages that come from nature weave a path in the unity between mind, body, soul and emotions. Jude’s book and Healing Cards, ‘From Grief to Goddess’, the 2018 release of the Wise Woman Message Cards, her programs, claircognizant readings, meditations & ceremonies take you on a deep journey of self; evoking peace, contentment and well-being. These journeys encourage you to take your personal visions into your everyday life to blend spirit and substance; to move with the cycles of our ever-changing world. Jude is a Clairvoyant/Claircognizant, ceremony, Retreat and workshop creator, a colour therapist (who does it her own way) and holds a certificate in Psycho Spiritual Hypnotherapy ~ delving into past lives to assist in the healing of ancient Ancestral wounds.